The 21st century has greatly expanded what used to be just a cruel way to identify one’s cattle or an extremely questionable fraternity hazing ritual into the lingua franca of the communication design business. Fortune 500 companies, sports teams, charity foundations, Kim Kardashian, your mom. They’re all brands now. One smart phone coupled with easy-to-use social media platforms and voila! Any individual can carefully edit and cultivate their own personal brand and broadcast it to the world. Brand democracy has risen! Anyone can play! No Landor or Wolff Olins payment plan necessary. Yet the notion of “nation branding” is still an unsettling idea, even if it’s a practice as old as the first civilizations. Those Egyptian pyramids! Killer campaign, right? We’re still impressed with those pharaohs and their work multiple millennia on. Apple’s got nothing on those guys. Cheops, Cleopatra and their ilk invented an entire hieroglyphic language in addition to these massive ziggurats many still dream of visiting to this day. The Greeks and Romans were no less modest in their propaganda. Trajan’s Column is the first century A.D.’s “Hope” poster. Then again, these empires weren’t exactly shining examples of humanism and “all (wo)men created equal,” even if they did seed the roots of our present day democracies. The ideals promoted were often only that; while corruption, greed and violence against their own people as well as those in the foreign lands they conquered were commonplace. Let’s not even get into Nazi Germany, Stalin’s Russia, or Mao’s China—these guys were all branding pros and together wrought the worst atrocities of the 20th century. So, even in this (supposedly) more enlightened age, shouldn’t we still be slightly unsettled by top-down nation branding? Why do governments need to convince through PR and promotion that they are doing a good job? Or that their state is a great place to live (or at least visit)? Shouldn’t leaders just walk the walk rather than spend taxpayer money on talking the talk? And exactly whose vision and values are we promoting here? “Attracting tourist dollars” is the easiest line of defense for such an endeavor—let’s get the word out about how great this place is!—and when cash-poor countries are now commonplace in even western Europe, who can blame them? Isn’t the innocuous “Greetings From _______!” postcard a form of nation branding? And what’s so unsettling about that? To point, if we’re going to rebrand Thailand, who better to hire than Mr. Monocle and Wallpaper himself, Tyler Brulée, and his creative firm, Winkreative, stripping away that sleazy veneer often associated with Bangkok to reveal the more streamlined, industrious and benign paradise (complete with Euromodern styling) that really exists? 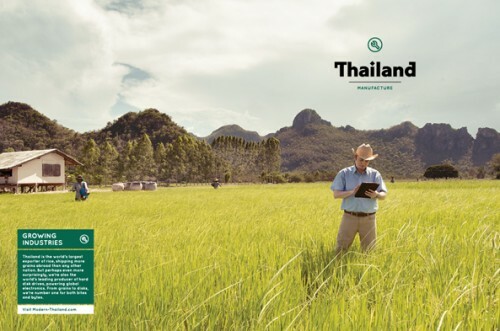 Still, a question that lingers is if the campaign actually illuminates previously unearthed Thai treasures or is a whitewash sanding down of the country’s rough edges. It’s one thing to exaggerate a product’s effectiveness, another to misrepresent an entire sovereign state. Resistance is not futile. As mentioned above, if a grassroots “brand democracy” could ever truly exist as a counterweight it’s now, where an internet connection and a Twitter account can unsettle even the most autocratic of governments, as Ai Weiwei’s recent odyssey illustrates. Or in the manner of the Propeller Group (part of the current Six Lines of Flight: Shifting Geographies in Contemporary Art exhibition at SFMOMA) in Ho Chi Minh City who use the tools and methodologies of branding and popular culture to help shape an alternate, new vision of Viet Nam, going so far as to commission advertising agencies (like TBWA\Viet Nam) to help realize their social and political aims. This kind of nation branding is a more informal and grassroots image-making that fosters a more egalitarian creative and social strata, even fomenting revolution in certain cases. I’m not sure whether it’s our frontier mentality, the (un)healthy skepticism of government in our lives, the success of our democracy or a combination of all three, but the United States has mostly resisted such initiatives. Sure, candidates for public office are constantly trying to reshape themselves in the context of an American ideal, while cities and communities are perpetually looking for new ways to attract visitors and residents. The American identity as a whole, though, remains stubbornly retrograde. Old Glory, the Founding Fathers, O Say Can You See, hot dogs, apple pie, fireworks—the symbols and stories we use to celebrate (or, in the case of the equally retro-named Tea Party, protest) the U.S. have rarely evolved since its inception 236 years ago. The convergence of Six Lines of Flight’s themes of national identity coupled with an impending presidential election seems as ripe an opportunity as any to challenge these long held American notions and grapple with the issues and contradictions inherent in the exercise of nation branding. Over the next month four designers—MendeDesign, Playlab Inc., and mgmt. from the U.S and Lucienne Roberts from the U.K.—will present their solutions for the assignment of rebranding the United States of America. However they wish to attack the problem—whether a hypothetical traditional top-down proposal from the government itself, a grassroots movement or any combination thereof—is up to them. It can be celebratory, critical or anywhere in between. Who is it for? For what purpose? These are just a few of the questions these talented designers will be asking and the results will be presented right here on Open Space. In tandem with these projects I will be posting my own thoughts on the questions this project raises, culminating in an essay by historian, critic and professor at CCA, Karen Fiss, who is currently writing a book about nation branding. Please check back in the coming weeks and contribute to this project by sharing your own thoughts in the comment section of these posts. Stay tuned! I’m surprised we weren’t asked to be involved with the amount of attention our American Dollar redesign project got. Especially as we’re a local SF company with offices in the UK as well. Manual (more Brits!) also did an interesting exploration surrounding US highway signage. Either way, it sounds like an interesting project. I’ll be sure to tune back in. 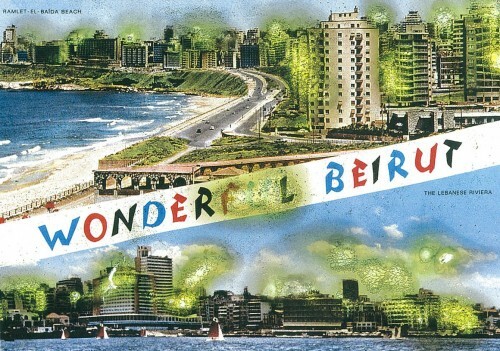 Hi Fellas…..whatcha think about these photos of Beirut? This is great; excited to read through the rest!